Chef Paolo Moran has whipped up another batch of dishes for Amici diners to try. Almost all the dishes are tomato based and the reddish color is perfect welcome to the holiday season. Creamy Tomato Soup (P120/cup, P195/bowl). 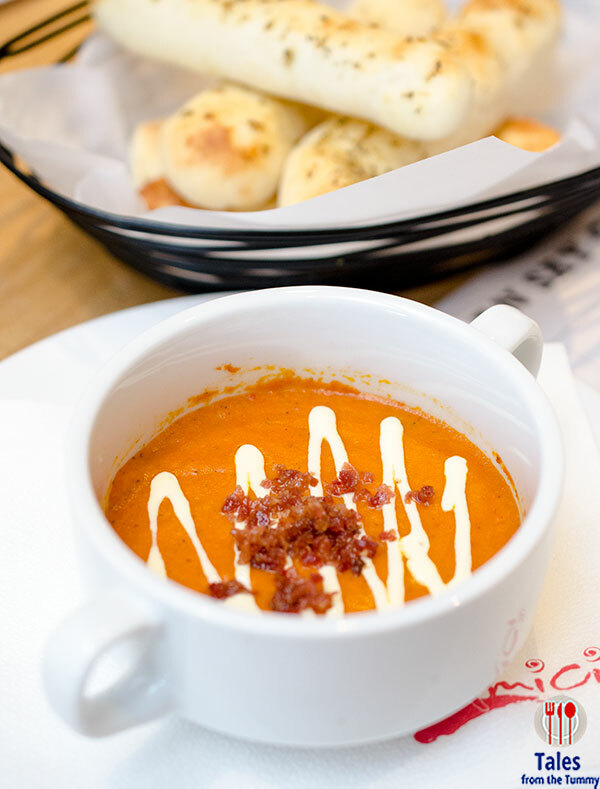 Hearty tomato soup with cream topped with crumbled bacon. Smoked Salmon Dip (P390). Creamy spread with lots of smoked salmon and herbs served with their Parmesan topped pizza crust wedges. 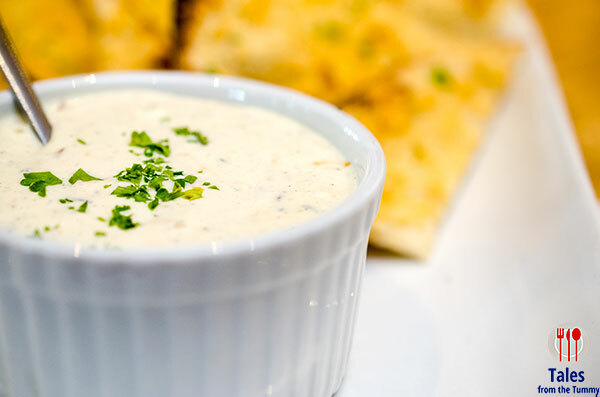 A good starter that you need to restrain yourself from finishing all by yourself. Chorizo Puttanesca (P380/regular, P715/grande). 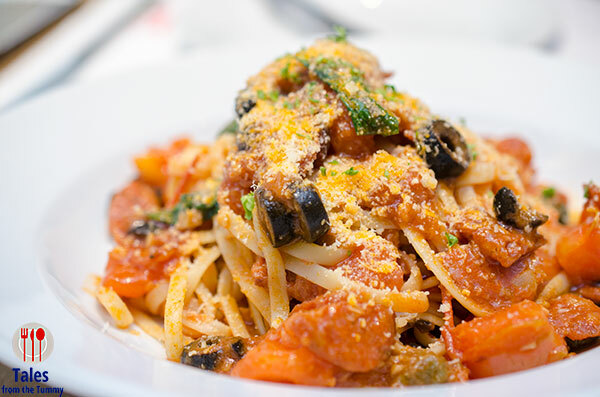 The classic puttanesca dish of olives, tomatoes, capers, chili and basil give a meaty upgraded with the addition of sauteed chorizo. The already flavorful dish gets even more tasty with the always welcomed chorizo pieces. Salmone Affumicato (P398/regular, P710/grande). 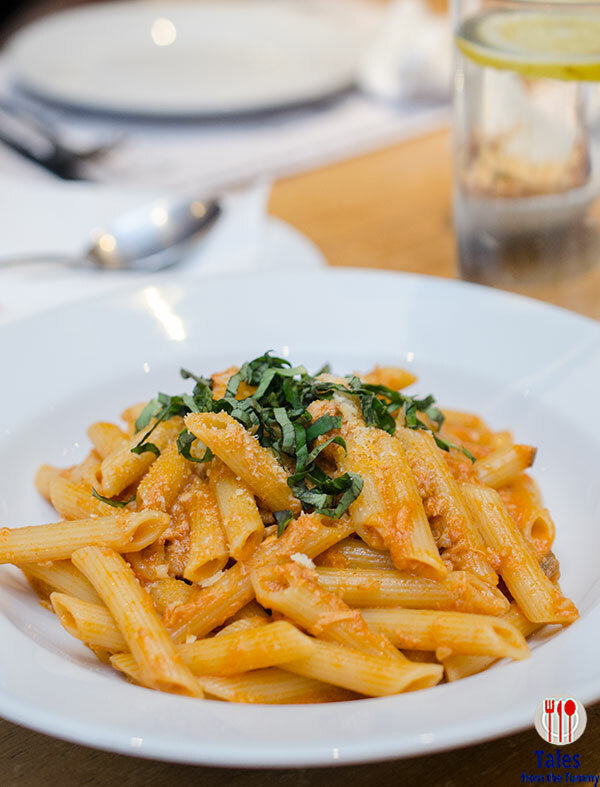 Penne with tomato cream sauce, smoked salmon and lemon with basil chiffonade. Italian Seafood Rice (P395). 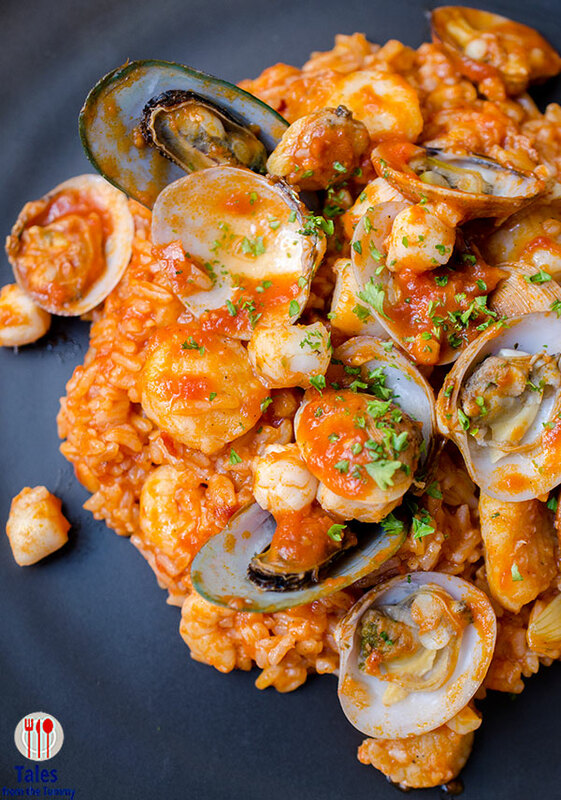 A butter rice base cooked with tomato sauce and a generous amount of seafood (shrimp, sole, mussels, clams, and scallops) makes this a filling, all in one dish. 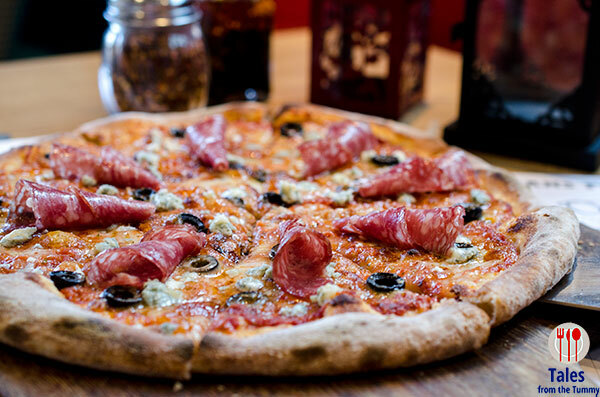 Salami and Blue Cheese Pizza (P515). Slices of salami with crumbled blue cheese, olives and anchovies gives this new pizza a different twist. Perfect for those that want to try something new with their pie. If you love ube, be sure to save room in your stomach for Cara Mia’s Ube Cake (P120/slice, P825/whole). Layers of light chiffon, cream, ube halaya, covered in ube crumbs and crowned with a splendid whipped cream. It’s a taste of the past that’s been made even better. 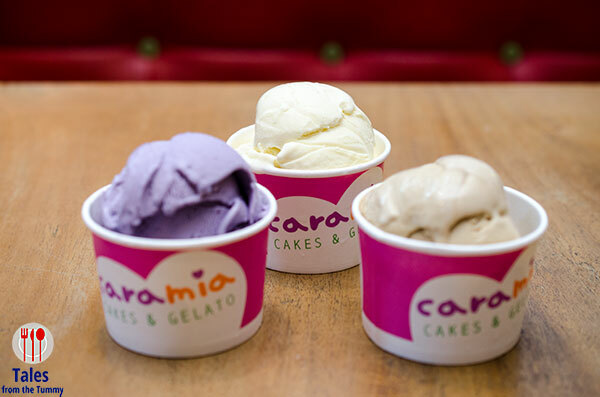 For dessert check out Cara Mia’s new flavors, classic Vanilla, Dulce de Leche and Ube. The Ube is the standout flavor and tastes like their ube cake made into gelato. If you adore ube then might I suggest pairing a slice of the Ube cake with a scoop of the ube gelato, oh so good.